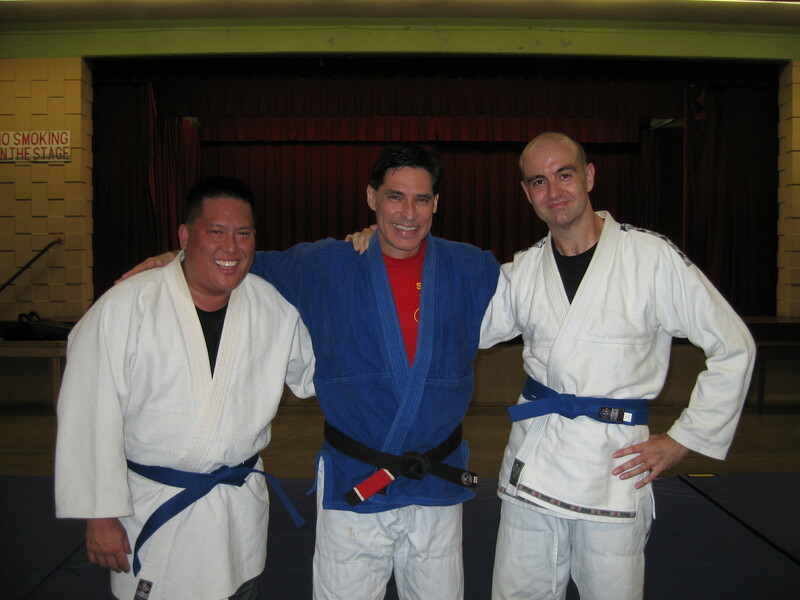 In March 2009, my training partner Jerry Chang and I earned Blue Belts in Brazilian Jiu-Jitsu from our instructor, Burton Richardson. And I'm not exaggerating when I say "earned." We prepared for several months by drilling, rolling, and going over techniques. The test itself consisted of several hard rounds of groundfighting. Jerry and I were very proud to have passed and to receive our Blue Belts from Burton. I was particularly happy, as when I first started training back in 2002, I really wasn't very comfortable on the ground. It took me around two years to feel even semi-competent grappling. But eventually things started to come together, and, with lots of hard work and dedication, my ground game began to improve. Recently, both Jerry and I earned our third stripes on our belts. It was a long-time coming. During 2012, we were both sidelined by injuries ranging from sprained ankles and hyperextended elbows to herniated discs. Within a few months, we should be testing for our fourth stripes, and hopefully by the summertime we can go for our Purple Belts. I look forward to my future Jiu-Jitsu training, and to constantly improving. If one were to do so, it would show severe disrespect to Jiu Jitsu and especially your instructor. In parts of Brazil you would get slapped by your instructor or beaten up by other students for asking.